Designed for practical everyday use, the SOG Baton Q1 multitool features an assortment of handy tools needed in work and play, and it's travel-friendly so you don't have to leave it behind on a trip. Designed to be essential and minimalist, the SOG Baton Q2 multitool features tools that you use on a daily basis and often find yourself without, including a bottle opener and a flashlight. 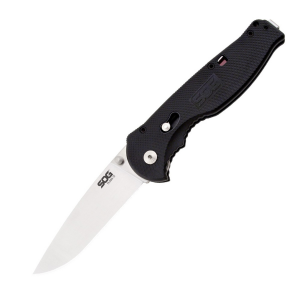 Whether you're out in the wilderness or deep in an urban jungle, this sleek SOG Baton Q3 multi-tool is loaded with an array of useful tools designed to help you in a variety of tough situations. This is no mere backwoods survivalist unit. The SOG Baton Q4 multi-tool offers you modern lifestyle essentials and is ready to assist with everyday demands, urban adventures or emergency situations. Tactical folding knife designed in collaboration with Kiku Matsuda of Kiku Knives. 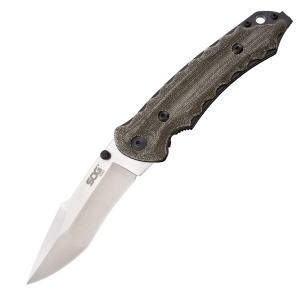 Crafted with stainless steel liners, linen Micarta handle, and pocket clips for left or right hand carry. 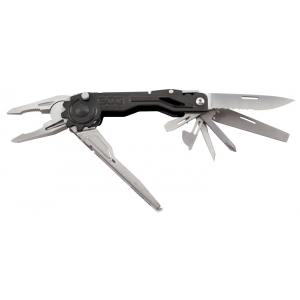 Streamlined and comfortable, the SOG PowerAccess is the ultimate EDC multitool, and fits neatly in your pocket so it's always handy. 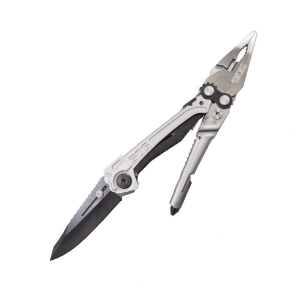 Spring loaded multi-tool with push button one-hand opening. Components include pliers, gripper, soft wire cutter, partially serrated blade, 3-sided file, Philips screwdriver, awl, can opener, small screwdriver, bottle opener, medium screwdriver, and ruler. 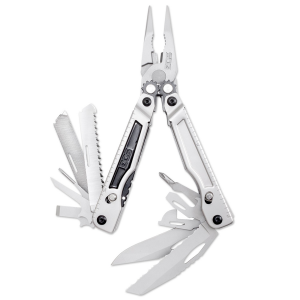 The functionality of a multitool is useless if you don't have it on hand when you need it. The SOG Sync II Belt multitool clips to your pack or can be worn as a belt buckle so it's always nearby.